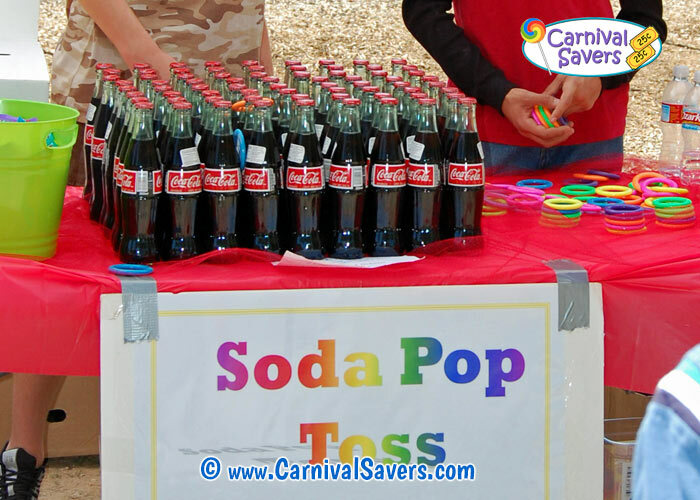 Carnival Game Idea: Cola Ring Toss! 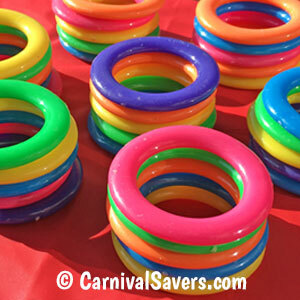 Give Carnival Players 5 Rings to Toss Each Turn. Kids LOVE winning a 2 Liter Bottle of Soda! 2 liter bottles of cola and sodas - typically used as the top prize - different flavors and colors (Donated from local grocery stores). 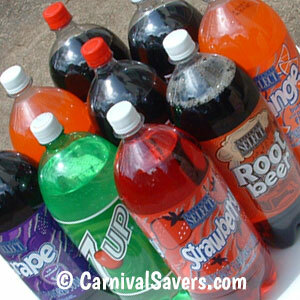 Set up large grouping of individual glass sodas 2 - 4 dozen or more - in the middle of the carnival booth or on a table. You will want to have a few different "stand behind" lines for different aged players. Your youngest players should be about 1 yardstick away from the bottles. This traditional carnival game is really a game of luck - it is difficult to place a ring directly on a soda bottle, so generally they bounce around the bottles and the player is lucky if they ring a bottle! One more great reason to choose this game aside from ease in setup is that it almost advertises itself! When the hard plastic rings bounce off the bottles, it make a clanking sound, and seems to add to the festive atmosphere of any event! Carnival players are given five rings to try their hand "ringing" one of the individual glass sodas. If they ring a soda, they get to keep a two liter bottle soda as their carnival prize. If they loop more than one, they can choose which one they keep - but they can only keep ONE. If players do not "ring" a bottle, they receive a consolation prize. For most games, carnival players are given 3 tries - but we found with the Cola Ring Toss Game, even if you stand close, it is difficult to "ring" a single serving soda bottle with the hard plastic rings - so having a few extra chances is excellent and you will find typically 1 in about 12 wins at this game. Note: We just updated this webpage to show what we think in the best set up. We like to use the hard plastic rings tossed on small glass soda bottles for about 1 out of every 12 is a winner! This carnival booth sounds just a little boring to adults - but kids at our school love it!! Also, don't forget to pick unusual flavors. Along with the standard "Cola" we choose Lemon/Lime, Root Beer, Strawberry, Ginger Ale etc. - the kids really get a kick out of winning a unique bottle of soda! 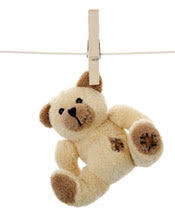 LET KIDS "RING" these FUN PRIZES at the COLA RING TOSS CARNIVAL GAME!